Basically, this is just a posts to recap this first half of 2018 and how my reading went. Let’s get to it! Whaaaat? I’m NOT doing a tag for once? This great challenge comes from Confessions of a YA Reader. It’s a wonderful blog and you should all go check it out! The challenge was created by Kristin @ Kristin Kraves Books! We got a sneak peek!!! The amazingness that is this writing duo has released a teaser with the cover and the first two chapters of What if it’s Us? The chapters are divided on each main’s POV with Becky writing Ben’s and Adam writing Alejo. Even if the article didn’t say it you can just tell at first sight. Ben is very much a BA character, he comes from a caring family, has friends (though not many) and is upper-middle class. He is sweet and caring and has an optimistic way of seeing the world. Alejo is peak AS, he is a latino with a less than perfect life and real problems that make him retract into himself. He is open but realistic about the world (if a bit pessimistic, but since he’s just gone through a breakup I don’t know if that’s a defining trait), he loves his friends. Both Becky and Adam’s styles are beautiful but quite different, I’m excited to see how these two manage to form a relationship and make it work. So, yeah, this is going to kill me. I want some gay ID card to whip out like a cop badge. Or I could demonstrate in other ways. God. I would happily demonstrate. So, this spring/actually fall season I decided to join the Bookish Spring Bingo made by Becca from Pretty Deadly Reviews. I made a tbr and everything but my plans are to never be followed so I ended up changing a few books in there. Although this last month and a half I’ve been stuck in an extremely annoying slump I did manage to read some books. 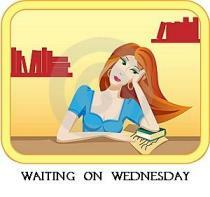 Waiting on Wednesday is a weekly meme hosted by Jill over at Breaking the Spine which spotlights highly anticipated upcoming releases. Usually I’d wait until a book is published to see the reviews and decide whether I want to read them or not but there are some that I can’t help but be hyped for. Since this series is composed of novellas I thought I’d do something different and make one post for three mini-reviews. The series was darker than I imagined since all I’d read about it was Home for children who went to magical worlds and then had to came back, but all of them want to return. Turns out there are murders and stuff. The three books are completely different from each other, I’ll get into more detail for each one but the thing is that they explore different characters and experiences. They can be classified in: The going home, the coming back, and the return. I saw this tag on Perfectly Tolerable and went along with it!